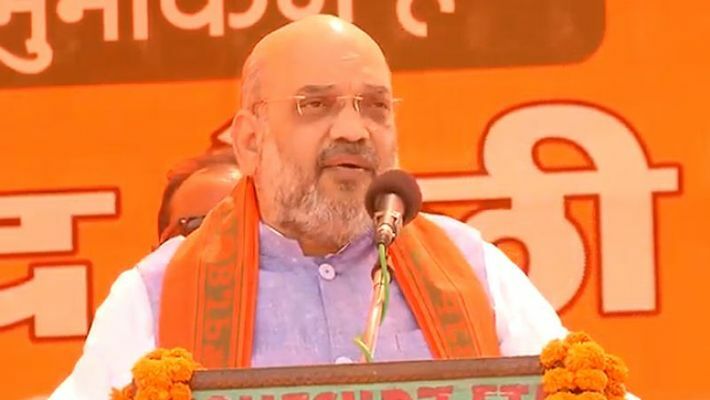 In his rally at Kalimpong where industrialist Raju Singh Bisht has been fielded from Darjeeling Lok Sabha constituency, Shah repeated his commitment by saying, "We will remove Article 370 from Kashmir after forming the next BJP government at the centre." West Bengal: While campaigning in West Bengal, BJP chief Amit Shah has yet again made a commitment to the locals that he will weed out the illegal immigrants by introducing National Register of Citizens (NRC) throughout India. Visiting West Bengal’s Kalimpong in Darjeeling Lok Sabha seat and Raigang seat in North Dinajpur, he took a dig at chief minister Mamata Banerjee and asked if she also wanted a separate prime minister for Jammu and Kashmir like her ally National Conference leader Omar Abdullah. At another rally in Raiganj, the BJP president assured the people that once they come to power at the Centre for a second consecutive term, he will throw out the ‘termites’ with help of NRC, which is currently applicable only to Assam. BJP head accused Trinamool Congress chief of misleading people. "It is our commitment to bring in NRC across the country to chuck out each and every infiltrator. Unlike Mamata Banerjee, we don't treat infiltrators as our vote bank. For us national security is supreme. We would ensure that each and every Hindu and Buddhist refugee gets citizenship of this country," he said.Referring to air-strike on Pakistan’s Balakot, Shah accused West Bengal’s chief minister of being saddened for Pakistan just to appease her minority voters. "We came to know that Mamata Banerjee was mourning the air strikes. It is quite obvious that the air strikes will be mourned in Pakistan. But why is Mamata Banerjee mourning? She is mourning in order to appease her minority vote bank. This is a shame," Shah said. BJP is aiming to win 23 of the state’s 42 seats, where the party could only bring home 2 seats in 2014.